Top national defence procurement officials discussed innovation and new initiatives to support NATO capability efforts at the Conference of National Armaments Directors (CNAD) held at NATO Headquarters in Brussels, Belgium on 4 May 2017. 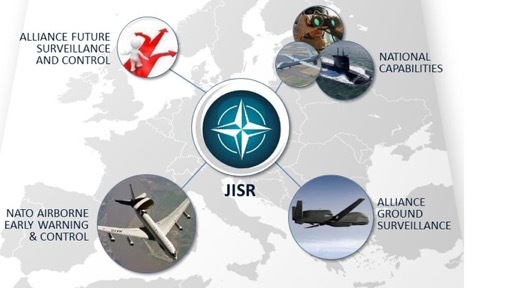 “Multinational efforts are not only an efficient use of resources, they also strengthen the bond amongst Allies,” said NATO Deputy Secretary General Rose Gottemoeller during the opening of the spring conference. Highlighting the “value of the CNAD’s contributions to NATO through national, multinational and common-funded projects”, she commended the Conference for contributing to the strength of the Alliance by striving to deliver the required capabilities. National Armaments Directors identified a number of avenues to explore to lower the barriers for multinational cooperation to occur, and they responded positively to the International Staff’s efforts for advancing and expanding existing projects and adding new initiatives to the inventory of opportunities. Allies also approved a framework for CNAD efforts to facilitate innovation and provided guidance on the development of a specific work programme by which to implement the recommendations outlined in the framework. This work is meant to assist Allies in keeping the military advantage, including the technological edge. CNAD Permanent Chairman and NATO’s Assistant Secretary General for Defence Investment, Camille Grand, underlined the need for adequate resources to deliver capabilities, stating that “the 2014 Defence Investment Pledge was a positive signal for us, and importantly, we are now seeing that Allies are implementing the pledge.” He added that National Armaments Directors would now need to decide how to make best use of the additional resources. Defence procurement officials were updated on the status of the major programmes under CNAD governance (Ballistic Missile Defence; Alliance Future Surveillance and Control; Joint Intelligence, Surveillance and Reconnaissance; and Alliance Ground Surveillance), as well as on successful multinational efforts currently underway in areas such as Anti-Submarine Warfare, Suppression of Enemy Air Defence and Helicopter Operations in Degraded Visual Environments. The Army, Air Force and Naval Main Armaments Groups (MAGs) and their respective subgroups support the work of the Conference and are responsible to it for all activities in their respective fields. Assistance on industrial matters is provided by the NATO Industrial Advisory Group (NIAG), enabling the CNAD to benefit from industry’s advice on how to enhance the NATO-industry relationship. The NIAG also assists the Conference in exploring opportunities for international collaboration. Other groups under the CNAD are active in fields such as ammunition safety, system life cycle management (LCMG), and codification.